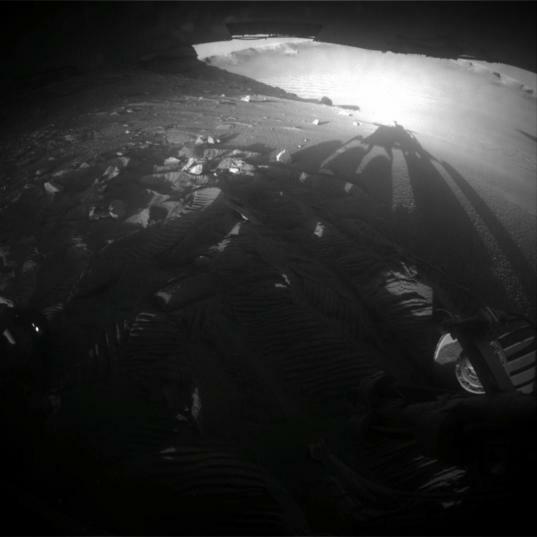 ...and here's another wonderful self-portrait silhouette by Opportunity. At the end of a drive on sol 1,613, Opportunity looked back at the sloping wall and interior of Victoria crater. The long afternoon shadow is attenuated even further by the sloping ground, making even the wheels cast long shadows.